It has been an active offseason for the New England Patriots since winning the Super Bowl - but not because they made big additions on the field. Tom Brady returned to play Thursday as his battle with the NFL and Commissioner Roger Goodell continues. His four pass attempts - and one completion - against the Green Bay Packers don't tell us much, however. But that's OK - he's been here before. It remains to be seen if being another year older or months of Deflategate headlines have taken a toll, but whether he misses time or not, Brady's skill is unparallelled. In his limited playing time, Brady completed one of his four attempts for a 10-yard pass, and one of the misses was on target to wide receiver Josh Boyce. He was not sacked. 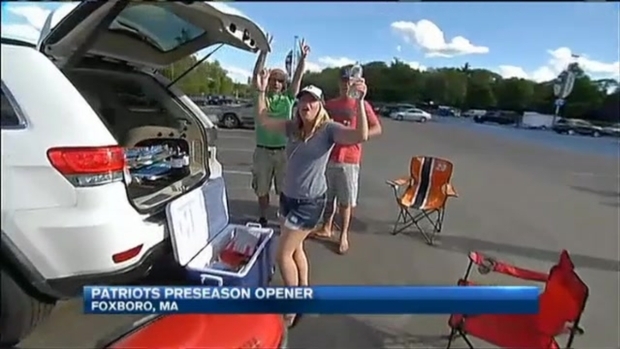 It's been a long, Deflategate-riddled offseason, and New England fans are happy to have their team and quarterback on the field for the first preseason game. The same cannot be said for backup Jimmy Garoppolo, who will start the season's first four games if Brady's suspension is upheld. Playing the remainder of the game after Brady left in the first quarter, he was sacked a whopping seven times - a reflection on New England's battered offensive line, although the second-year quarterback's relative inexperience was on display there, as well. Still, Garoppolo completed 20 of his 30 pass attempts for 159 yards with a pick - yes, this was against the Packers' preseason defense, but for a 23-year-old stuck behind one of the game's all-time greats, the game wasn't all bad. 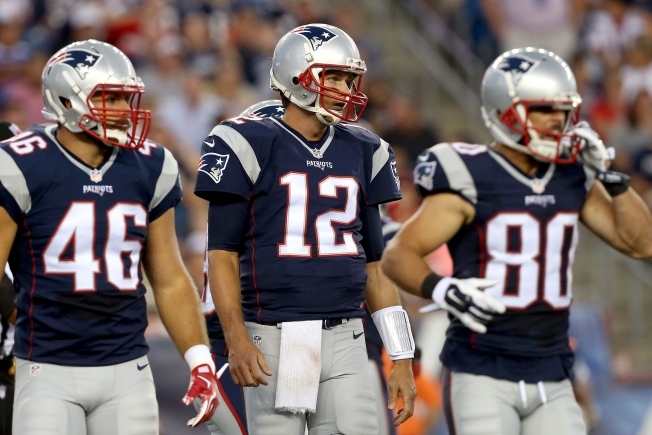 Still, Garoppolo's rating was 65.8, and Brady's was 39.6. Aaron Rodgers and Scott Tolzien, who saw the bulk of the time under center for Green Bay, topped both of them. Looking for some big positives? Running back Jonas Gray managed 74 yards on seven carries, including a 55-yard touchdown and a subsequent two-point conversion - his best performance since going off on the Colts for 201 yards on 37 carries. Alongside Stephen Gostkowski's impressive 56-yard field goal, that accounts for the Patriots' scoring. Running back James White, who appeared in three games last year, rushed for just 12 yards on eight carries - but he added 52 receiving yards on four catches after being targeted five times. With such mixed-use options as Shane Vereen and Danny Woodhead gone, White could factor into the equation. Defensively, ex-Dolphin Jonathan Freeny had nine combined tackles, seven of them solo. Chandler Jones and 2015 fourth-rounder Trey Flowers each sacked Rodgers in the first half. The secondary is a big question mark after Darrelle Revis signed with the rival Jets. While cornerback Logan Ryan had two tackles, he also let Jeff Janis get away for a big first-half touchdown reception from Rodgers. The offense was quiet and the defense questionable at times. But playing without guys like Rob Gronkowski, Julian Edelman, Aaron Dobson, LeGarrette Blount, Bryan Stork, Nate Solder and others, a preseason game is more about learning about the players on the field than about trying to scrape out a win.